BRM Solicitors have acted in a £110m mixed-use shopping centre and 174 residential unit development built in Acton, London.Acton town centre is currently undergoing a wholescale regeneration, with the development due for completion in 2019 including the creation of 11 new retail units, a gym and 174 residential apartments. BRM having previously secured retail pre-lets with M&S Simply Food, Wilko, Iceland, The Gym Limited and Lidl and the 2016 £69.5m residential development sale to a charitable housing association, this month completed the £41.5m retail shopping centre sale. BRM advised land owner and developer over the course of site preparation, redevelopment, marketing, funding and sale. 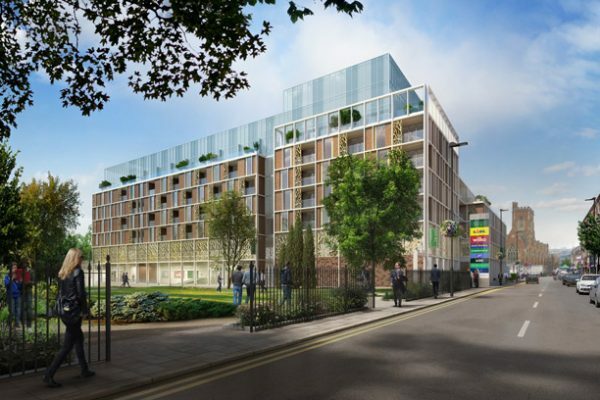 “We are excited to see the mixed use regeneration taking shape with completion due next year, providing retail and leisure facilities for Acton. The deal saw BRM continuing to compete at a national level based on its level of service, and the high standards of staff and resources found locally. BRM continue to advise as the development concludes over the next six months. Adrian Sheehan led the legal team, supported by Sanjeev Batra, Alastair Reid (all commercial property) and Sarah Rowland (corporate).